Funko has announced its first New York Comic Con exclusive of 2017, and it’s going to make WWE fans everywhere go “Woo! Woo! 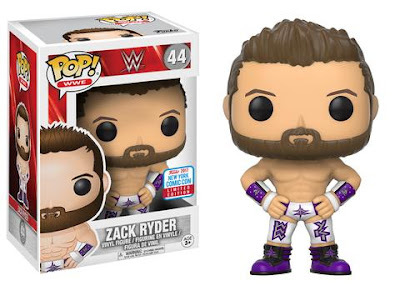 Woo!” That’s because Funko will be releasing this awesome WWE Zack Ryder Pop! figure. It’s interesting that Funko is kicking things off with the broski, but it makes sense since he is such a big toy collector. Watch TheBlotSays.com for more Funko New York Comic Con 2017 exclusive news!